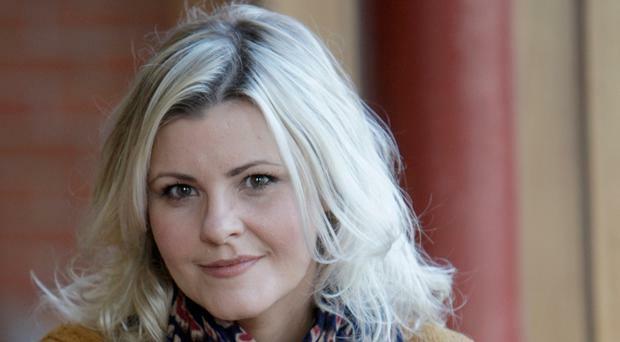 Derry Girls star Tara Lynne O'Neill has revealed she 'assaulted' Ardal O'Hanlon on his first day on the set of the hit comedy. The 44-year-old Belfast actress, who plays Ma Mary on the Channel 4 show, confessed to Sunday Life that she was such a huge fan of the Father Ted actor that she actually "ran away from him". She said: "I embarrassed myself a little bit with Ardal as I met him outside my trailer. He introduced himself and he said 'I'm a big fan of the show'. Then I assaulted him and said 'I'm a big fan of yours', then ran away. I assaulted Father Dougal!" The 53-year-old actor makes a special guest appearance in this Tuesday night's episode as Eamonn, the awkward, mummy's boy of the Quinn/McCool extended family. Tara admitted she finally got over her nerves to chat to the funnyman and found that having him act alongside fellow comedians, Tommy Tiernan, who plays Da Gerry, and Kevin McAleer, who plays Uncle Colm made filming difficult as they were all so witty: "Having Tommy, Kevin and Ardal in a scene is impossible. They are competing who can actually say their lines. It's so quiet, then just laughing." Tara, who previously appeared in EastEnders, Line of Duty and The Fall, admitted she often doesn't get recognised as she looks so different from her Derry Girls character. Joking that all Ma Mary owns is "a selection of bad jumpers", she said: "It is very refreshing as an actress to come in and just wear a really horrible comfy jumper. "But I don't get recognised at all. I quite like it because if they don't recognise you then you can talk to them about the show. Taxi drivers particularly. Then you get the truth. Everything is so positive and it's so brilliant to be involved in something that's got such an amazing reaction. "It's fabulous being part of a strong female cast because the households in Northern Ireland were female led. So many of those young women's stories have been untold. The history of Northern Ireland is a male history. It's great working with young women."